Taking shape outside my office is the Sedgwick Museum’s new facility for storing its rock collections and some of the larger fossils that are currently housed in storage that makes access to them difficult. Once completed, it will provide high-quality, high-density, climate controlled storage for this internationally important collection. Bringing several collections together into this purpose-built space will mean that specimens will be much more accessible for research, while the building will provide enhanced facilities for research workers. We will be able to host public events and show people around our collections in a way that we can’t do at the moment. Building started in October, and for the first three months, the project focused almost entirely on laying the foundations and floor: they are complex and built to a high specification due to the weight of the rock collection that they need to support. 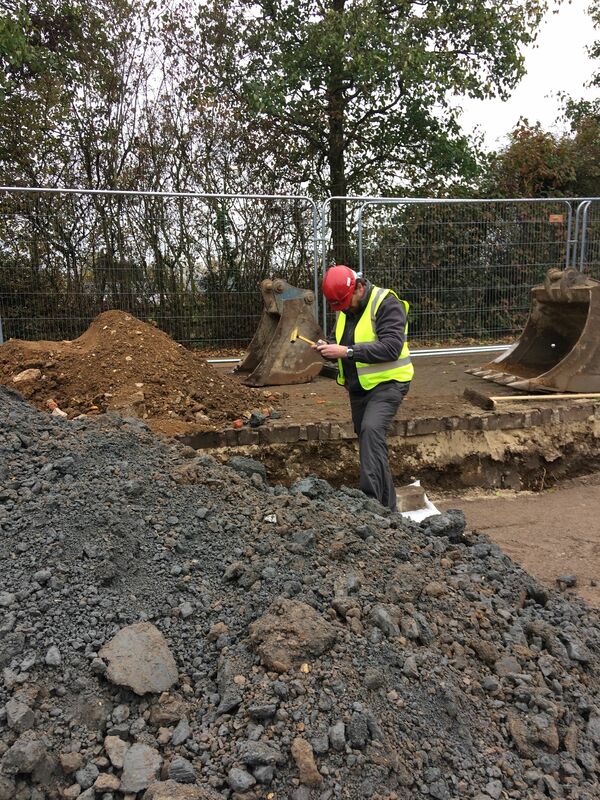 During pile-driving for the foundations, we were able to collect fossils from the clay found deep below the building, and look forward to using them in future public engagement projects. 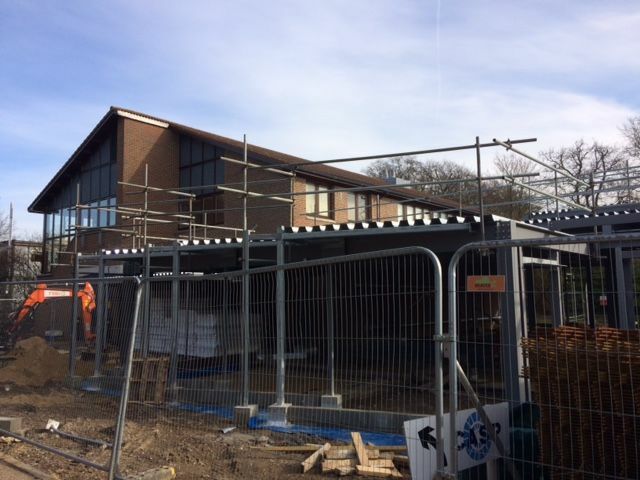 Now, in March, the steel frame has been erected, bricklaying has started and the roof is going on. Behind the scenes we are planning the move. More than 350,000 rocks, weighing more 150,000kg will need to be carefully packed and transported across West Cambridge. They are rocks from all over the world, amassed over the last 200 years. The collection is still growing, added to by many researchers working in the dynamic field of Earth Sciences. A project like this takes huge amount of planning, and there will be many opportunities for volunteers to get involved in this exciting project – watch this space.